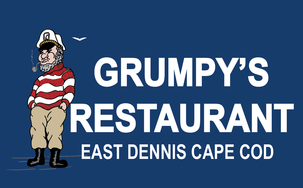 A Grumpy’s gift card is the perfect gift for any occasion. Whether your live locally (a/k/a A Cape Codder) or are in town just visiting now you can buy one for any birthday celebration, a holiday present or special treat. Our gift cards are redeemable at our East Dennis restaurant and they do not expire. To order a gift card online, simply fill out the purchaser information and then click the “proceed to order gift card(s)” button.